Insul-liner takes the guess work out of insulating. No wrapping - liner is insulated at the factory. Simply remove from the box and install. For Use with Natural Draft Appliances. 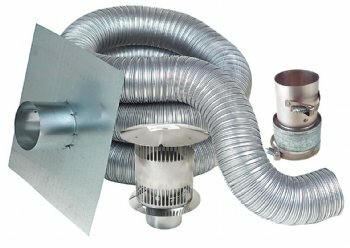 Not intended for use with Category II, III, or IV gas burning appliances as defined by the National Fuel Gas Code, NFPA 54, or other appliances that result in condensation or corrosive acids on the liner of the chimney, or that create positive pressures in the chimney system.